Vastnet's robust and portable network-enhancing technology is being welcomed by operators of mine sites in isolated and remote locations where providing communication solutions is a constant challenge. 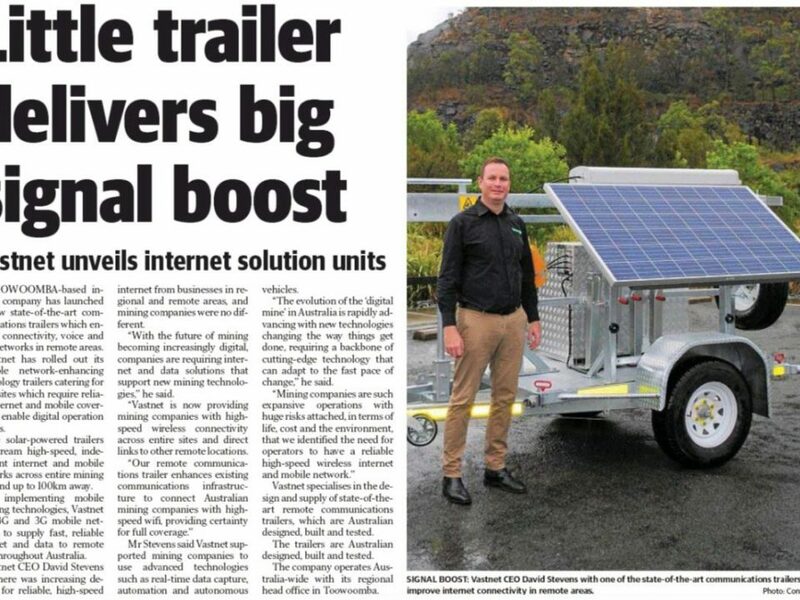 Vastnet is keeping mine sites connected with solar-powered remote communications trailers that stream high-speed, independent internet and mobile networks across entire sites and up to 100km away. By implementing mobile boosting technologies, Vastnet utilises 4G and 3G mobile networks to supply fast, reliable internet and data to remote sites throughout Australia. 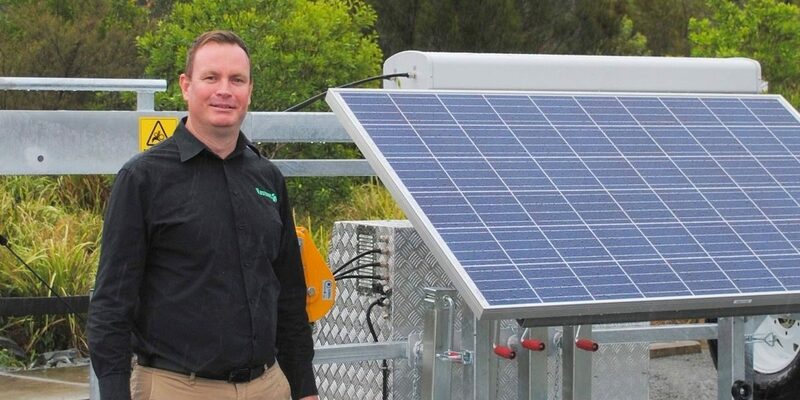 David Stevens, CEO of Vastnet, said that there was increasing demand for reliable, high-speed internet from businesses in regional and remote areas, and mining companies were no different. He added: "With the future of mining becoming increasingly digital, companies are requiring internet and data solutions that support new mining technologies. "Vastnet is now providing mining companies with high-speed wireless connectivity across entire sites and direct links to other remote locations. 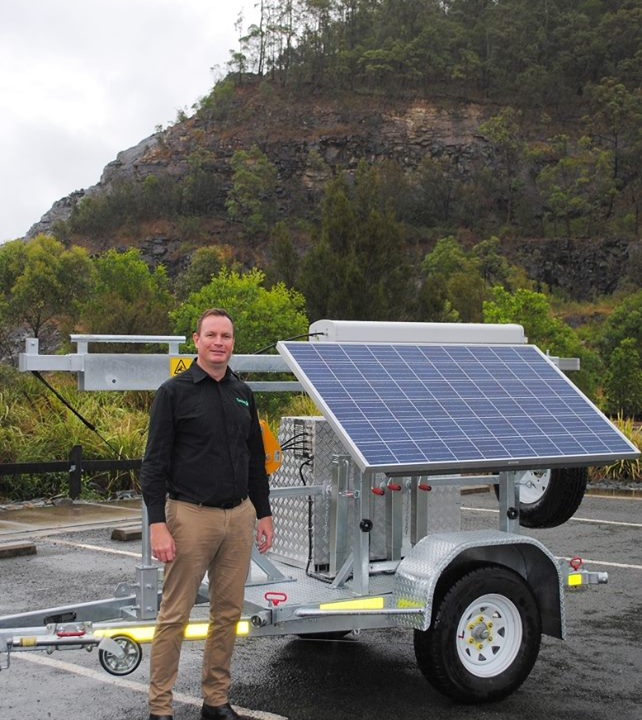 Our remote communications trailer enhances existing communications infrastructure to connect Australian mining companies with high-speed Wi-Fi, providing certainty for full coverage. "We support mining companies to enable operators to use advanced technologies such as real-time data capture, automation and autonomous vehicles, wearable technologies and digital-twinning. Our cost-effective solutions are tailored to meet a mine site's specific communication and budgetary requirements for companies looking at ways to increase productivity while maintaining sustainable cost practices. "The evolution of the 'digital mine' in Australia is rapidly advancing with new technologies changing the way things get done, requiring a backbone of cutting-edge technology that can adapt to the fast pace of change." 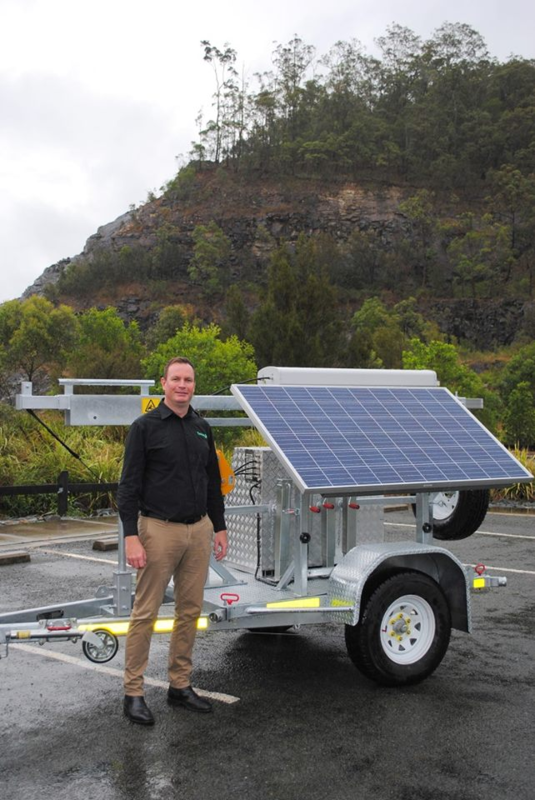 Vastnet specialises in the design and supply of remote communications trailers, which are 100% Australian designed, built and tested. 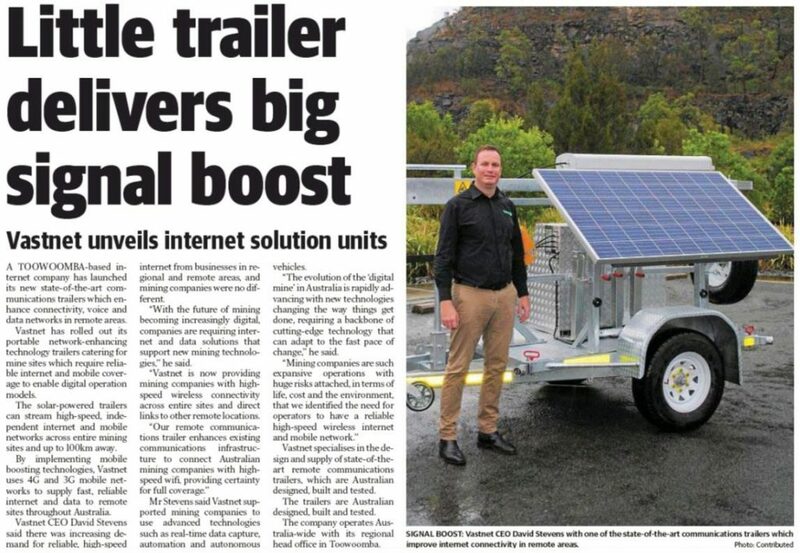 The Vastnet remote communications trailers are fully customisable for a client's needs and offer a variety of applications including 3G/4G coverage enhancement for mine site communications and remote machinery connectivity. Stevens explained: "We work with our clients to utilise and enhance the technological infrastructure already in place, which can include digital mobile networks and data-carrying networks. Mining companies are such expansive operations with huge risks attached, in terms of life, cost and the environment, that we identified the need for operators to have a reliable high-speed wireless internet and mobile network." Vastnet is a network services provider that is pioneering a new, transparent and straightforward way of doing business.